Driving off-road doesn’t have to be scary. Yet most people that spend serious cash on 4WDs never even put them in low range, much less take them off the pavement. Let’s try to fix that with a few basic skills everyone can master. Four-wheel drive is actually a bit of a misleading term. You see, just because you have a 4WD vehicle, it doesn’t mean that when you’re stuck, four wheels will actually be moving and have grip. Four-wheel drive means that the power is split between the front and the rear differentials — which is where things become tricky. When you go through a corner, your vehicle’s outside wheels will travel further than the inside wheels. A standard differential allows the wheels to move independently of one another by sending power to the path of least resistance. 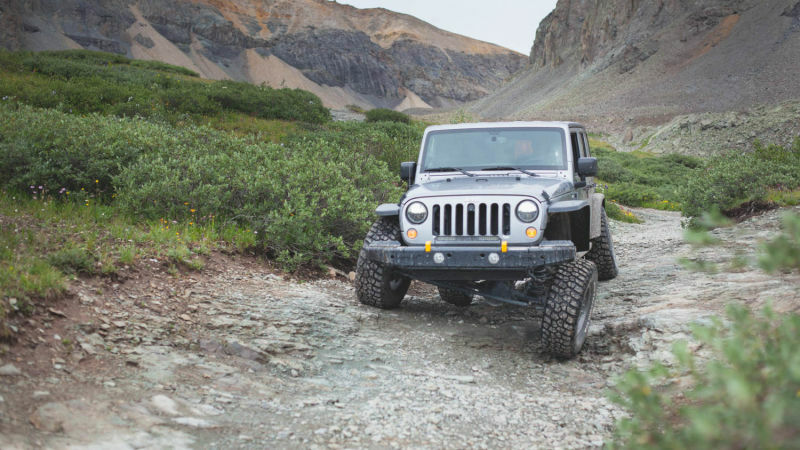 On pavement, this is a good thing, but when you’re axle deep in mud, or have one tire with slightly less grip than the other on a rocky climb, this just means that power goes to the tire with the least amount of grip — which is less than ideal. So essentially when you need it most, 4WD as we know it really only powers two wheels; one front, and one rear. To move all four wheels at once would require the vehicle to be outfitted with front and rear locking differentials, which unless fitted aftermarket at a massive cost, are only available on a select few new vehicles. But don’t worry, these days, off-road traction control can somewhat emulate a locking differential by braking the spinning tire and sending power to the other side, which presumably has more grip. Trouble happens when you drive fast: you work your vehicle too hard, and you increase the risk of damage when you hit something. For a visual, let’s imagine going over a speed bump in a car. If you go too fast your suspension simply bottoms out and sends you flying out of your seat. Drive over it slowly, and your suspension absorbs the bump, keeping you and your vehicle comfortable. It works the same way with off-road obstacles, if you need to drive over a boulder and you hit it going too fast, you’re not only likely to damage your vehicle, but the boulder will probably send you back where you came from. If you approach it slowly your vehicle’s suspension can flex over the obstacle, keeping your tires in contact with the ground and allowing you to move forward without issue. 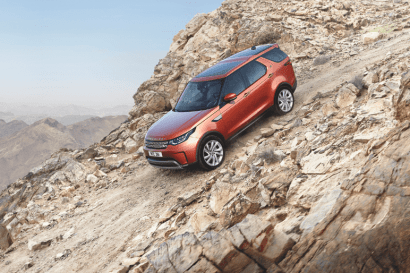 Land Rover likes to teach the idea of ‘As Slow As Possible, As Fast As Necessary” and it’s a good mantra to keep in your head when driving off road. Let’s say we don’t have a boulder in the trail that you need to skilfully climb over, but a muddy incline. With a situation like that, most will just slam skinny pedal and hope for the best, and while sometimes that works, you really shouldn’t do it that way. If there was a steep, muddy drop on the other side of this incline, you wouldn’t want to go flying off into the distance, would you? Proper technique is to have enough speed to get to the top, but not so much that you can’t stop to negotiate the next obstacle. The worst case of too little speed is that you add more, while the worst case of too much speed often ends in a broken vehicle or a dangerous situation. 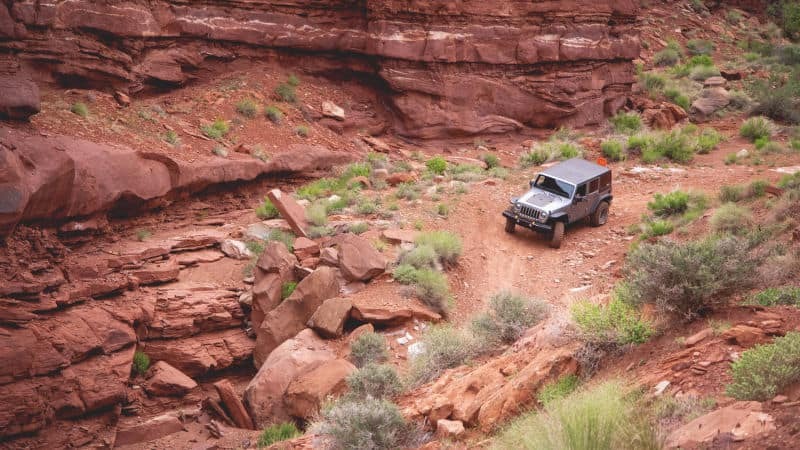 Driving off-road puts your vehicle in situations it wouldn’t encounter in the paved world. 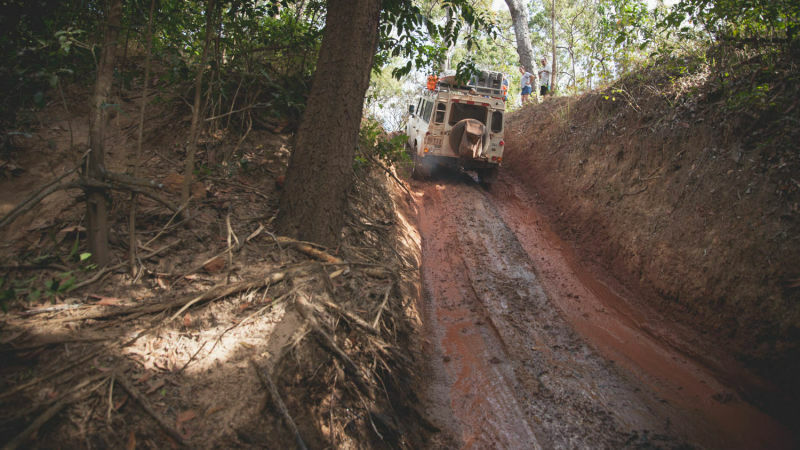 Not only do you have to deal with reduced traction, but you’ll have to overcome the occasional big rock or very steep incline. The best way to get through these extreme situations is in low range, but if your vehicle doesn’t have a dual-range transfer case, you’ll want to use the lowest gear available to you. 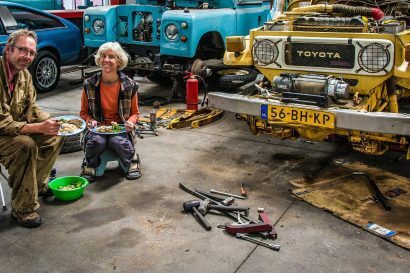 Most older 4WD SUVs and trucks will have low-range transfer cases, usually activated by a lever or switch that’s often integrated with your 4WD system. Low range works by using a second set of gears to multiply your vehicle’s power at lower RPMs. When you’re off-road, the extra low-end grunt when paired with some skill can allow you to take a vehicle to places that those without low range could only dream of going. You don’t need to use low range if you’re just cruising down a fire service road or driving across the occasional small ditch. You need to use low range if you’re in a situation where you require control, and low end power such as if you’re climbing up a rocky slope or ledge. If your car is big, heavy and slow you might need it more often. Don’t forget that low range isn’t just for climbing over things, it’s also for going down them. On steep descents, you can use low range to help with engine braking, which prevents your brakes from overheating and helps you retain control of the vehicle. Well Wes, you’re in luck, because you can still go a lot of places without low range, provided you have decent ground clearance. So if you find yourself in a situation where your vehicle is running out of power, or if you are relying too-heavily on your brakes, you’ll want to use your vehicle’s lowest gear. If you have an automatic transmission, you’ll want to select “1” or “L” and if you have a manual, you’ll want to stay in first gear. Depending on your vehicle, you may also want to turn off traction control. Some crossovers will have an off-road oriented traction control system, which can provide some help by braking spinning wheels, Others will just completely cut power if any wheel spin is sensed, which doesn’t really help you get anywhere. Use your best judgement here. When a basketball is properly inflated, it bounces. It does this because the high pressure inside means very little of the basketball touches the ground, and it ricochets the energy away from what it just hit. When it’s low on air, it won’t bounce very well because, without enough pressure, more of the basketball’s surface area touches the ground and absorbs the energy, requiring you to put more in so it can bounce the same. When you’re just driving around town, it’s best for your tires to be like a properly inflated basketball. It means they roll around on the smooth paved surface with ease and require relatively little energy to move. This means better fuel economy and more predictable handling. But when you’re off-road, away from the perfectly groomed pavement, higher pressures mean your tire will bounce like a basketball, which means a rougher ride. A tire with less pressure not only rides better off-road, but it can also absorb more impact, reducing chances of harm to the tire or the vehicle. And just like the basketball it also means that more of the tire is touching the ground at lower pressure. This is important if you’re driving in soft surfaces like sand and mud where you want as much surface area as possible to distribute the vehicle’s weight. More tire on the ground also means that more of its lugs can grab ahold of something in low traction surfaces, giving you the grip you need to avoid getting stuck. 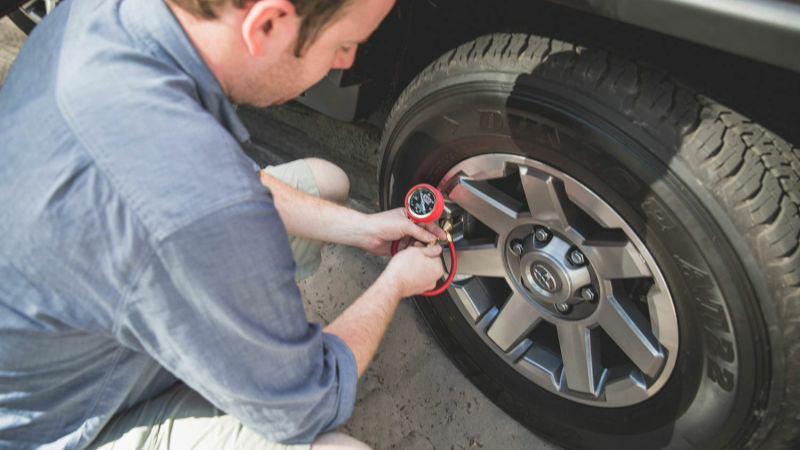 A good starting point is to run your tires at about 75 percent of your vehicle’s recommended street pressure. Generally, this means you’re still okay to drive a short distance on pavement until you can fill them up again. Be careful not to deflate them too much, because pressure is what holds your tire on the rim, and without enough of it, it’ll come off, and that’s just depressing. Some think the mark of a real off-road vehicle is one with body damage or “battle scars.” Personally, I just think it’s the mark of a village idiot who can’t drive. 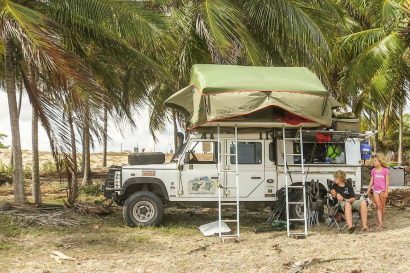 Vehicle damage is one of the main reasons people tell me they don’t want to take their vehicle off-road, but it’s completely avoidable if you have a little bit of common sense and take your time. 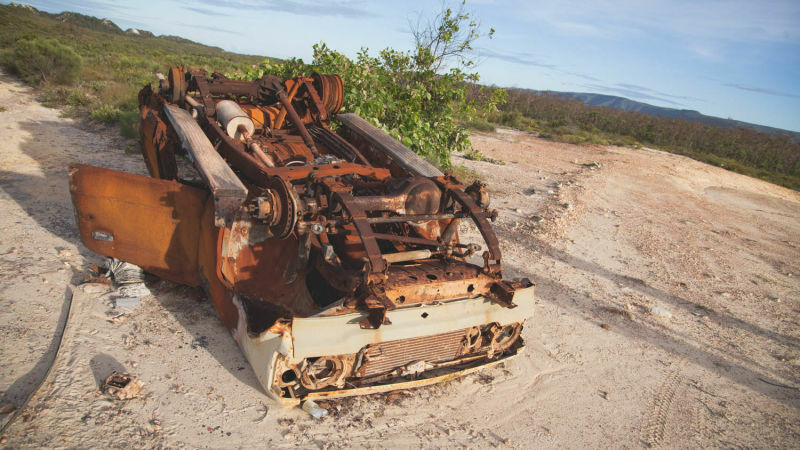 It’s normal to be nervous when you’re driving through a technical section of an off-road trail, but if you find that you’re uncomfortable, just don’t do it, turn around. 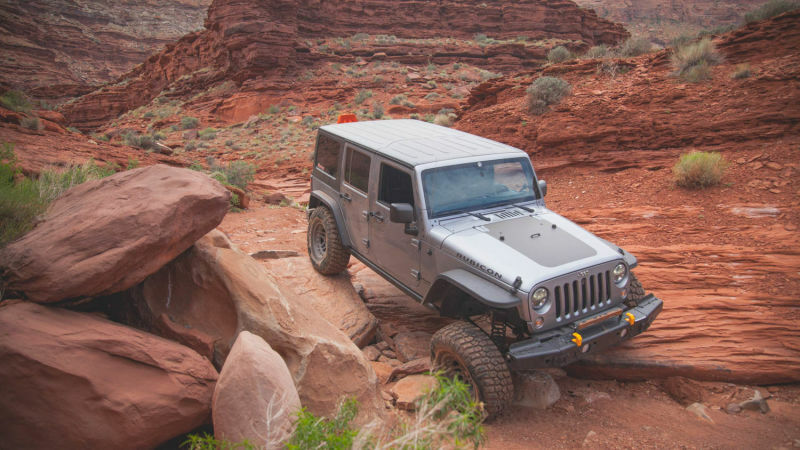 Most people will run out of skill far before their vehicle will run out of capability — and the best four-wheel drivers know where they sit in that balance. Also, don’t forget that as the driver of said off-road vehicle, you’re within your power to immediately employ anyone and everyone in the vehicle to be a second or third set of eyes. If you’re worried about hitting your bumper on a tree — get a second look. If you’re worried about running out of ground clearance, have someone watching, ready to tell you to stop before you cause damage. Four-wheel drivers call this ‘spotting’ and the main rule is to provide direct, concise information, and if you’re not sure what was said: ask again, you can’t hurt the vehicle if it’s not moving.